"Substitute Teachers" Needed This School Year! USD 353 is in need of "substitute" teachers this school year. The pay is good...if interested, please contact Casey Witham @ cwitham@usd353.com or 620-326-4300. Daily Rate: Substitute teachers will be paid at the rate of $100 per day and $125 per day after three consecutive days in the same assignment. Read more about "Substitute Teachers" Needed This School Year! The monthly BOE USD 353 Meeting will be held this Monday, Sep. 10th, 2018, beginning at 7PM at the Central Administration offices located at 221 S. Washington in downtown Wellington. Read more about Area Kids Raise Dollars For School Supplies! Monday, Aug. 20th, will be a budget hearing at 7:00PM at the district office. Click below for the agenda. Read more about AGENDA for Monday (August 13th) BOE MEETING! School Is In the Air! Many patrons of USD 353 wrapped up their student's enrollment for the 2018-2019 school year at WHS on Tuesday. Kansas Star Casino folks were present dispensing their REWARD CARDS to patrons for school supplies and to teachers as well! Many had pre-enrolled on line so were able to bypass that part of the process. Students can still enroll at any of the respective facilities. We are looking forward to a great year, full of challenge and achievement. WELCOME BACK (soon) STUDENTS & STAFF!! Read more about School Is In the Air! K-12 Enrollment & Kansas Star Gift Cards @ WHS Tuesday! USD 353 patrons can enroll their K-12 students in person today (TUES) @ WHS from 1PM - 7PM, if you've completed enrollment online, you will still want to stop by WHS and pick up your KANSAS STAR REWARDS CARD which can be utilized to purchase school supplies, compliments of the KANSAS STAR CASINO! NOTE: Teachers can pick up their Kansas Star Gift Cards today (TUES) between 1PM - 3PM. 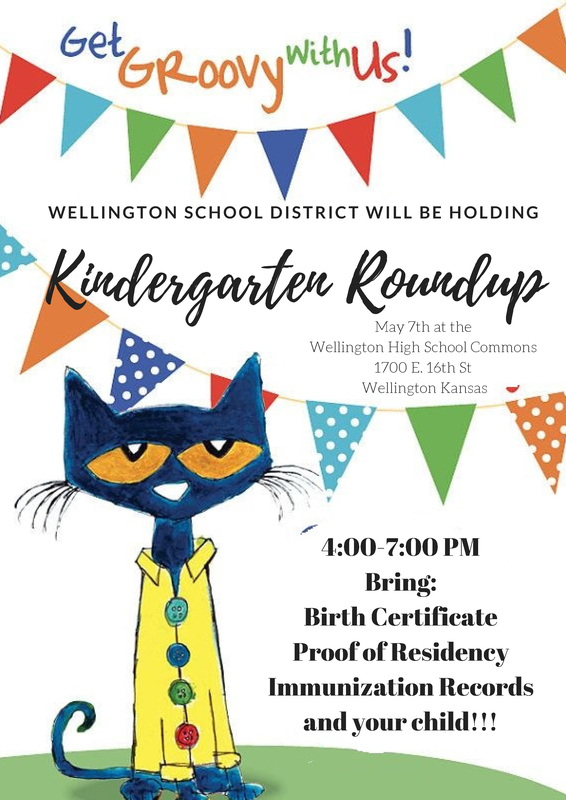 Read more about K-12 Enrollment & Kansas Star Gift Cards @ WHS Tuesday! The "GSK Science in the Summer" program was in town Tuesday, compliments of Exploration Place in Wichita. What is GSK Science in the Summer you ask? It's a fun and free science education program for students entering grades two through six. Many hands-on activities as they explore the fascinating world of science! The students create their own rocket, investigate the stars and discover how to protect yourself in space. About a dozen or so students were on hand for the 5 hour event. Read more about 2018 KRR Summer Program / Highlights & Graduation Video! Read more about KRR Summer Program 2018 - Week 3 Update! The mission of KANSAS READING ROADMAP is to create a pathway to literacy for every child. From kindergarten through third grade, children are learning to read. By fourth grade, children are reading to learn. KRR uses a skills-based system to help students learn the "Big 5" essential reading skills: Phonemic Awareness, Phonics, Fluency, Vocabulary, and Comprehension. KRR supports students during their school day and provides additional out-of-school learning opportunities. The KRR Summer Elementary Academy Off To A Great Start! WEEK 1 was a FUN and SUCCESSFUL start for the Elementary Summer Academy! 110 Wellington students from all the elementaries will be doing hands-on and intervention activities for Reading, Math, Computers and Coding, Robotics, Community Service Projects and exciting Fieldtrips! June 8th was a visit to Tanganyika Wildlife Park to finish out a great week of learning. WANT TO SEE PICTURES? CLICK ON THE LINK "WEEK 1- SUMMER 2018." Read more about The KRR Summer Elementary Academy Off To A Great Start! The USD 353 monthly board meeting was held on Monday, June 11th! 2018 Impact Bank "Students of the Year"!! Impact Bank sponsors the STUDENT OF THE MONTH program, participated in annually by WHS, WMS, Eisenhower, Kennedy, Lincoln, and Eisenhower Schools. Each facility has their own criteria for their monthly selections (Sep. thru Apr.) and also their own criteria for the selection of Student of the Year. 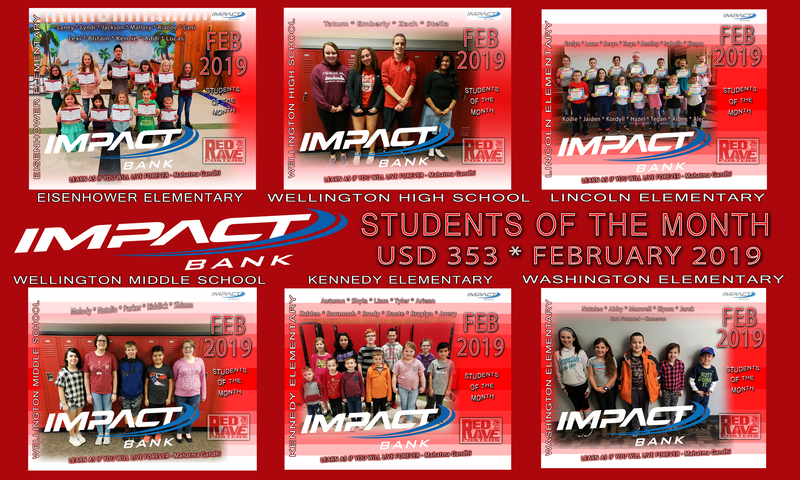 Impact Bank enjoys sponsoring this program, which provides monthly posters to each school, a drive-thru poster at the bank here in Wellington monthly, and also a nice gift basket in May to each of the "6" Students of the Year. Read more about 2018 Impact Bank "Students of the Year"!! "Excellence In Teaching" Award Goes to Cathy Shuck! At the district-wide, end of school year meeting on Tuesday, Lincoln Elementary Kindergarten teacher Cathy Shuck received the 2017-2018 EXCELLENCE IN TEACHING AWARD! Congratulations Mrs. Shuck - well deserved!! Mrs. Shuck is seen in pic here, receiving her award from Jodie Heath and Stan Koehler, both with the USD 353 School Foundation. Retiring this year from the district were: Jamie Ybarra, Barbara White, Dee Ginn, Lester Rose and Pamela Turkle. The following were recognized for their years of service! Read more about "Excellence In Teaching" Award Goes to Cathy Shuck! 4th & 5th graders from local elementary schools converged on the "NEW" track behind WMS on Friday for their annual CITY WIDE TRACK MEET, a meet that has gone on now for several decades! It was a near perfect day for the event, we have results from all the action below - also below are pics from a couple of events just before their lunch break! Also, last year's (2017) results are posted. Read more about D.A.R.E. Camp @ Melody Bowl! KRR-LIFE Family Fun Night Highlights! The KRR "Friends for LIFE" Family Fun Night for ALL families that have participated in the LIFE Family Program was on Tuesday, April 24th at the Wellington Public Library. The families made clothespin puppets, had a photo booth, ate dinner, did a scavenger hunt, listened to stories, and received a free game, a bag of books, and many other prizes to have a family fun night at home! The night was a success! Read more about KRR-LIFE Family Fun Night Highlights! On 04/03/2018 at 1:00 PM, the Kansas Department of Transportation hosted a game show at Wellington High School, put on by the Think Fast Interactive company. The entire student body was present and ready to have some fun learning about traffic safety, DUI, and other traffic related laws and incidents. Video of the event was recorded and is pending - it will appear right here, in the relatively near future! Fun event - you'll like the video! "Talents With Teachers" SADD Fundraiser - VIDEO Now Posted! The annual WHS SADD "Talents with Teachers" was held at Wellington High School Wednesday evening. "6" different groups (and a grand finale with everyone), competed in front of "5" judges and a good sized crowd. Mekenna Adams and Delaney Parkey MC'd the event. When it was all over, Eisenhower's 2nd Graders won the PEOPLE'S CHOICE AWARD and ZANE AGUILAR & CREW were selected the top performance by the Judges. Others receiving recognition included the 8th Grade Encore group and Eisenhower 4th Grade! Read more about "Talents With Teachers" SADD Fundraiser - VIDEO Now Posted! WHS SADD presents DANCING/TALENT with TEACHERS! 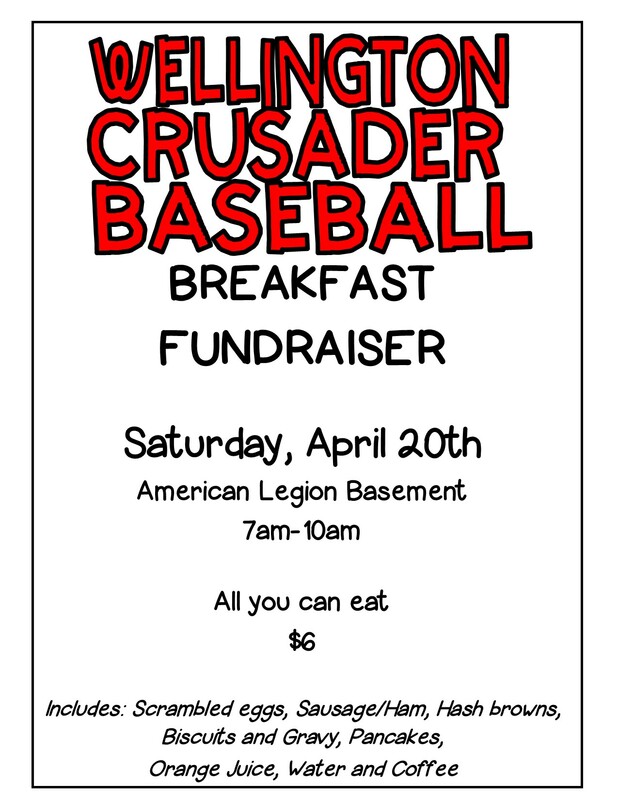 Admission is $3 per person / always fun and entertaining and a great group to help out! Hope to see you all there!! Talent from Eisenhower, Washington and WMS will be featured! Read more about WHS SADD presents DANCING/TALENT with TEACHERS! The Feb. 12, 2018 BOE Meeting Minutes were approved by the Board at the March 12, 2018 BOE Meeting. "Read Across America" Culminates on Dr. Seuss' Birthday! Read more about "Read Across America" Culminates on Dr. Seuss' Birthday! KRR Students Going For The Gold! KRR students at Kennedy, Lincoln and Washington are working hard and are GOING FOR THE GOLD! Excellent improvements are being made, keep up the great work! Read more about KRR Students Going For The Gold! Read more about KRR Students Improving Their Reading Skills! AGENDA For Feb. 12, 2018 USD 353 BOE Meeting! The regular monthly USD 353 BOE meeting is on slate for Monday, Feb. 12th @ 7pm - here is the AGENDA. Read more about AGENDA For Feb. 12, 2018 USD 353 BOE Meeting! KRR's Spring 2018 LIFE Family Engagement Program is Underway! KRR (Kansas Reading Roadmap) began its Spring 2018 LIFE Family Engagement Program! The 13 families had a fun- family evening with a catered dinner, games, and every family takes home free books and great prizes each week too! The Program is FREE and open to Kennedy, Lincoln, and Washington families. To find out about being in the Fall 8 week Program contact Amy O'Connor-- aoconnor@usd353.com. Read more about KRR's Spring 2018 LIFE Family Engagement Program is Underway! The 2017-2018 D.A.R.E. Graduation was held Wednesday evening at WHS - 5th graders from across Wellington were honored and recognized for a myriad of accomplishments via the 10 week D.A.R.E. program and it's instructor, Wellington Police Officer / School Resource Officer Jim Yunker. This is Officer Yunker's 6th year at the helm. Congrats and thanks to him and all, for the fine and greatly needed program they perform. USD 353 School Officials met with the public Wednesday evening at WHS, to bring folks up to speed with the new Kansas State Department of Education's, "KANSANS CAN SCHOOL REDESIGN INITIATIVE". OPEN HOUSE Planned for Mon., Aug. 20th/District-Wide! Read more about OPEN HOUSE Planned for Mon., Aug. 20th/District-Wide! Monday, May 14, 2018 will be the monthly USD 353 BOE MEETING @ the District Offices on S. Washington. The meeting gets underway at 7:00PM in the Board Meeting Room. Here is the AGENDA for the May meeting. Kindergarten Roundup @ Raymond Frye! Read more about Kindergarten Roundup @ Raymond Frye! "POWER OF PARENTS" Town Hall Meeting @ WHS! Read more about "POWER OF PARENTS" Town Hall Meeting @ WHS!